The adoption of fully electronic public procurement (EPP) systems is a requirement laid out in a group of European Union directives. These standards seek to improve the rationalization of resources (i.e., on an economics level) in public administration through the replacement of paper-based procedures with electronic services (i.e., e-services), thereby contributing to the growth of electronic government (i.e., e-government) in all member states. 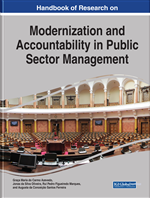 This chapter evaluates the impacts of EPP based on information and communication technologies. Research was conducted in Portugal, in which data on five companies operating on an international scale were examined for any organizational difficulties in the adoption of e-procurement. The findings include the positive impacts of following the objectives of the European Union directives in question. User satisfaction regarding EPP-related electronic platforms was also investigated. With the evolution of information and communication technologies (ICT), the expansion of electronic services (hereafter, e-services) with extensive technological support and reduced physical media circulation has become increasingly important in dematerialization (i.e., on an economics level). This strategy has gained general credibility due to the positive impacts of these innovations on institutions and citizens, such as hindering corruption, reducing transaction costs, and accelerating decision-making processes. These benefits are the basis for the European Union (EU) directives—with legal precedents in member states—that recommend the implementation of e-services in public administration (PA) as a way to change the formal relations between the central state and private sectors. The automation of government administrative services by moving to e-services has become essential to and, in some cases, required of EU member states. As a result, numerous electronic public procurement (EPP) implementation projects have been launched in the EU. EPP can be defined as “a comprehensive process in which governments use ICT systems to establish agreements for the acquisitions of goods and services” (Adebayo, 2016, p. 1), which is considered one of the most significant electronic government (hereafter, e-government) initiatives (Ferreira & Amaral, 2016). In Portugal, a new public contract law (PCL) was revised and published (Diário da República [DR], 2008). As a result, this country’s PA underwent significant changes in procurement procedures, especially the replacement of physical materials (e.g., paper) with electronic contracting (EC, 2004c, 2010), which became mandatory on November 1st, 2009. Although, Rosa and Almeida (2017) report that EPP in Portugal has had the expected success and state that the country can be regarded as both a unique case and a good example for the rest of Europe (Ferreira & Amaral, 2016), the impacts of EPP still need to be evaluated. This innovation requires all stakeholders to make adjustments when dealing with new systems that require user preparation. In addition, studies should assess how technology can best contribute to building an economic information society incorporating both institutions and citizens. Five top international construction companies operating in Portugal were contacted, and surveys were carried out in these corporations. The questionnaire sought to identify both organizational difficulties with and positive impacts of the adoption of EPP, in line with the objectives of the EU directives that encourage EPP implementation (Ilhan & Rahim, 2017). Furthermore, the levels of user satisfaction with electronic platforms were also examined, and several significant potential improvements were identified. Electronic Public Procurement: The use of electronic platforms and e-services to conduct transactions when purchasing products and services. Electronic Services (E-Services): The use of ICTs in different areas to reduce the materials needed to provide services. Dematerialization: Activities and initiatives intended to reduce the quantity of materials required to accomplish economic services. European Union Directives: Legal acts that require member states to achieve specific results without dictating how that result is to be achieved. Organizational Difficulties: Organizations’ challenges in technology management when seeking to create competitive advantages. User Satisfaction: The attitude of users toward the electronic systems they use in the workplace. Electronic Platforms: Electronic trading platforms that include computer software programs, which can be used to transmit products and goods through networks. Electronic Government (e-Government): The use of electronic devices, information and communication technologies (ICTs) to provide public services to citizens and organizations.